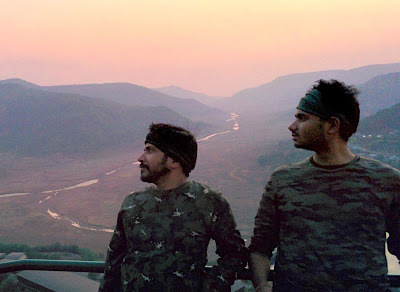 And why the #IndianArmyFC hashtag in the title you'll ask. We'll get there soon. 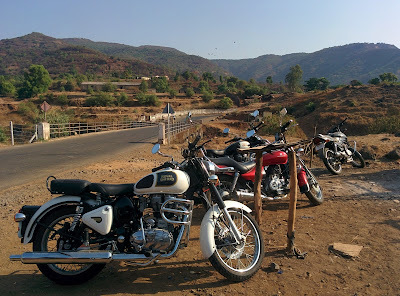 As if a 155km bike ride from Mumbai to Pune was not enough, I took Faisalwa (my Avenger 220) for another spin, only a day after. And this time we were three - Pranav with his white Bullet and Mathur with his black one accompanied by my red Avenger. 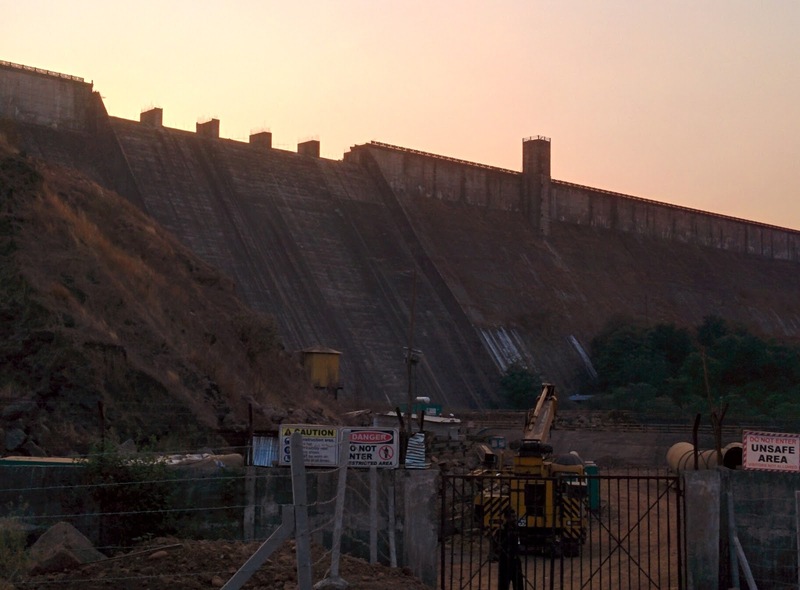 The plan was to ride up from Pune to Lavasa, spend the evening there and come back - some 130kms doorstep to doorstep. A tale of two Bullets and one Avenger. The Route - The Good, the Bad and the Godly. 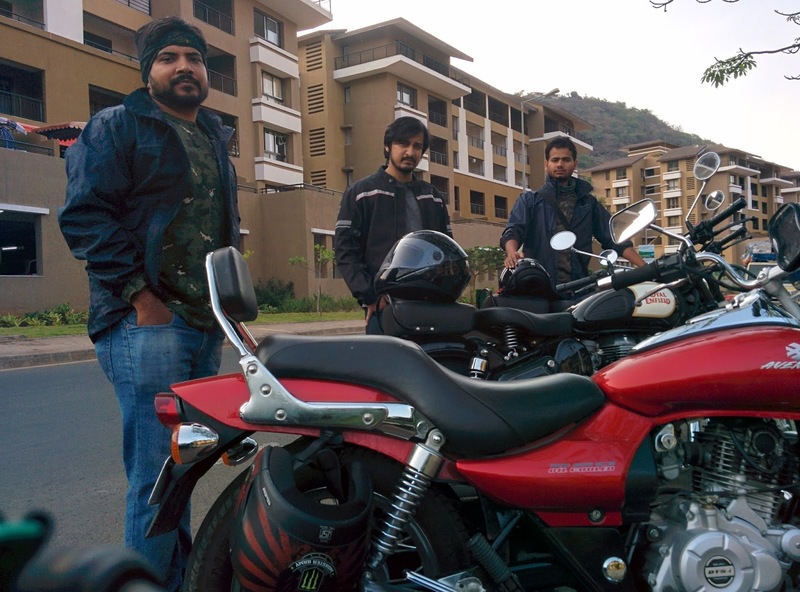 The boys did have the toys but none of us knew the roads to Lavasa. GPS Mata ki Jai, but we didnt have no pillion riders to be our navigators even. 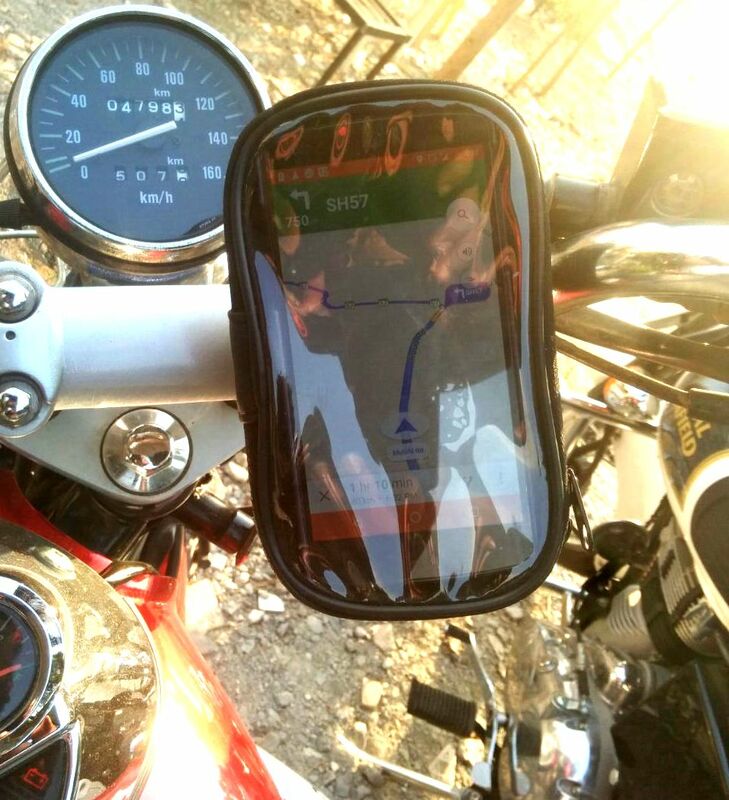 Precisely here came to our rescue an old purchase of mine from Mumbai's grant road - a GPS device holder for bikes. Fortunately I had taken it with me for the Mumbai Pune ride. It had been unused till then. As a wise guy, Sir Vedder once said, "...just where to put all your faith and how will it grow." I put that random purchase of mine to task. And the GPS screen showed this - 65 km ride up into the mountains! We were enthusiastic but we were also super hungry. One thing led to another, and we found ourselves getting super late for the trip. The original plan was to leave at 3pm, by 4:10 we were still in a small coffee shop, sipping iced lemon tea. So much for our first ride up into the mountains! 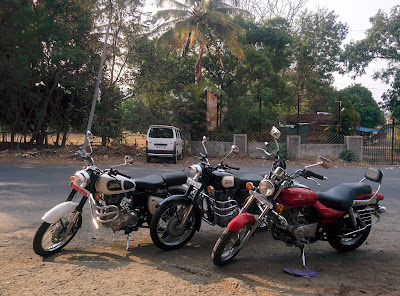 Anyway, we packed our stuff, put the helmets where they belonged and throttled up the beasts. An hour later, we were again having tea, but this time in the mountains. 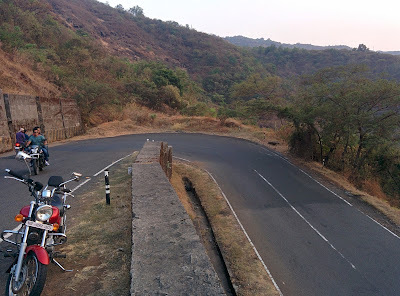 Oh my love for recurrent tea breaks while biking knows no bounds! The Indian Army Fan Club. One day before all this happened, both Pranav and I had done some bro-shopping at Pune Decathlon - you know, this pair of running shorts... that hell of a wind cheater etc. 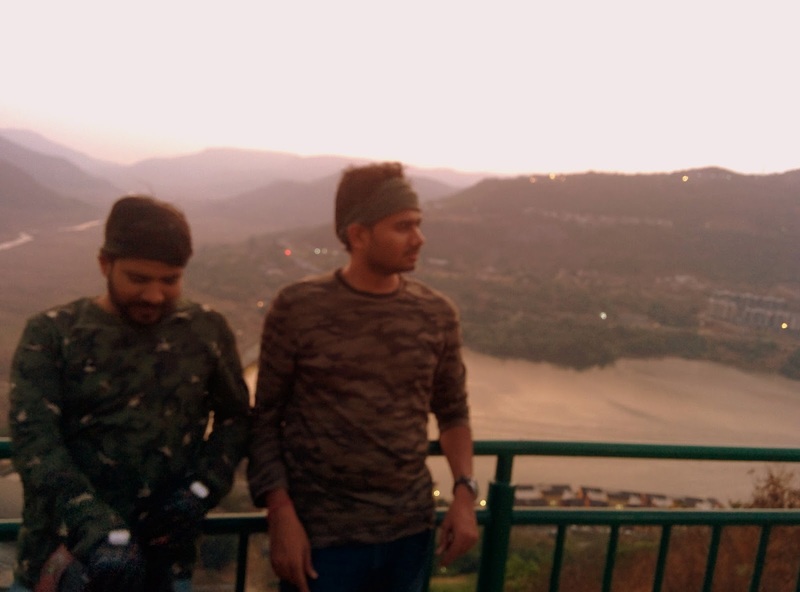 We both had gotten two full sleeve t shirts with the Indian Army camouflage design. 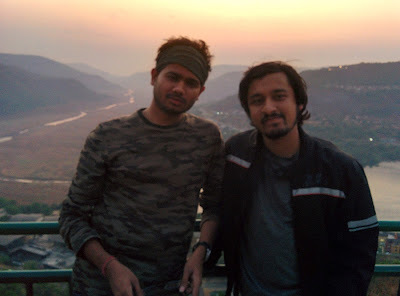 And we both wore that to the Lavasa trip. 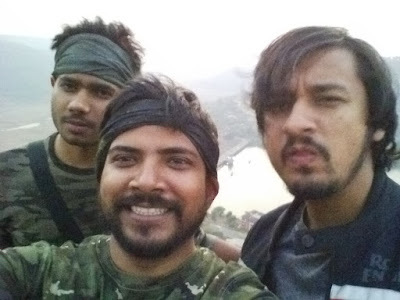 a few jokes later, we named our pack 'Indian Army Fan Club Riders'. Wannabe stuff, but it stuck like all wannabe stuff. Yeah, what's in the name they say! Now you know the secret behind #IndianArmy FC in the title! Lavasa bike trip - A couple hair pin turns too many. The road remained good for almost 2/3rd of the trip. Then things began to fall apart. Next thing I knew, my GPS holder (with my darling nexus 5 phone) spun off on the road from the bike. Thank God neither did it roll off the hill, nor come under the tyres of other vehicles. I promptly put the phone back where it belonged to. Inside my jeans pocket. As we reached up, hair pin turns started appearing more frequently. Things did get tough on a couple of occasions but we managed our way! Make photographs while the Sun shines. 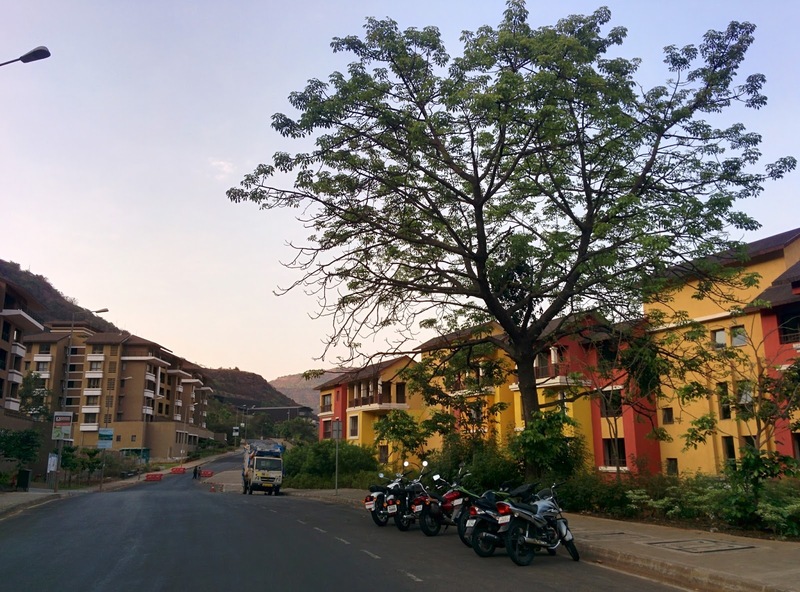 And we finally reached a high point from where the entire Lavasa could be seen. Sun was setting faster. Time for us to get some quick snaps! Mathur looks like Danny Denzongpa. Almost posing in front of a painted landscape. Almost. 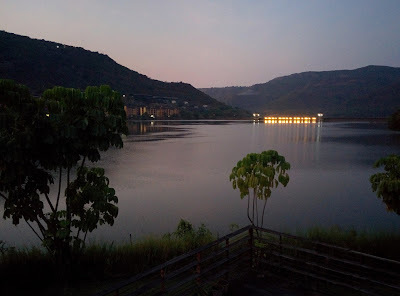 Lavasa - The night of colors. Finding a budget one night stay in Lavasa can be tough. Fortunately not the case for us. We managed an easy access to Lavasa clubhouse's landscaped amphi-theatre. 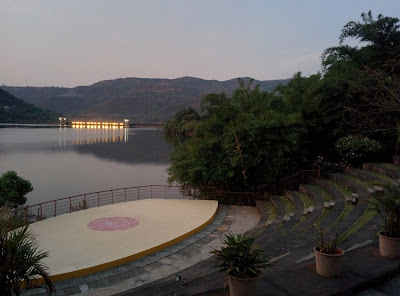 A beautiful open sky amphitheater with the lake forming the backdrop of the stage. And distant colored lights making hazy images in the water. Writer's note: The activitied & discussions that went on till late night/ early morning on that amphi-theater have been censored. Jai Gajendra Chauhan. When the stage in front goes in the background. All things good come to an end. Time had come to return back to our senses. And bikes. And senses. We had come to the clubhouse in awe. We left in awe. 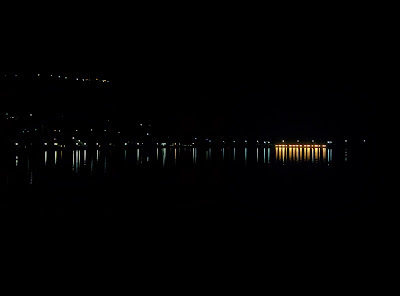 Beautiful it was. Everywhere! 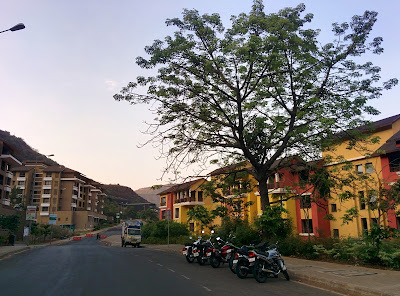 A colorful morning with a promising return bike trip ahead! A sunny, happy, chirpy morning in the mountains. Return trip was faster than what we had expected. As I rode up and down the mountains with blind turns and known hair pin bends, they all seemed way more familiar than they should have been. The sun shone bright on the horizon, rising & getting stronger by the second. Cool winds made the head bands useful and brushed past our cheeks, as we made our way back to the Pune city. 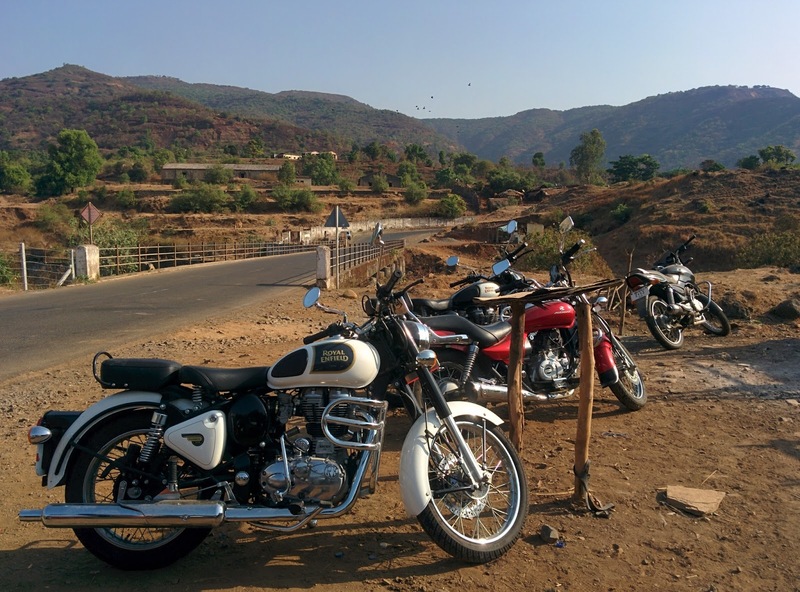 I realized how much sense it all made - taking my bike from Mumbai to Pune and then to Lavasa. A good break from all the monotonous shades of a corporate life. I promised to myself I'd cruise more. P.S. The Pahadon waali Maggi should not be forgotten. It fed the Indian Army FC Riders well. Three glasses down to the Pahadon wali Maggi. Hey...I am planning to do bike ride from Mumbai to Pune, Could you please share best possible route. Here's exactly what you need!